Motorists may have a false understanding of what their car’s driver-assist technology is actually capable of thanks to how it’s labelled by manufacturers, according to a recent report. CAR manufacturers using the word “autonomous” to describe new technologies could be confusing drivers. New research has found that the labelling behind driver assist technology could be giving motorists a false sense of what their car is actually able to do. According to a report by Thatcham Research and the Association of British Insurers (ABI), there has been a rise in the number of drivers crashing their cars because they have misunderstood the capabilities of driver-assist systems. 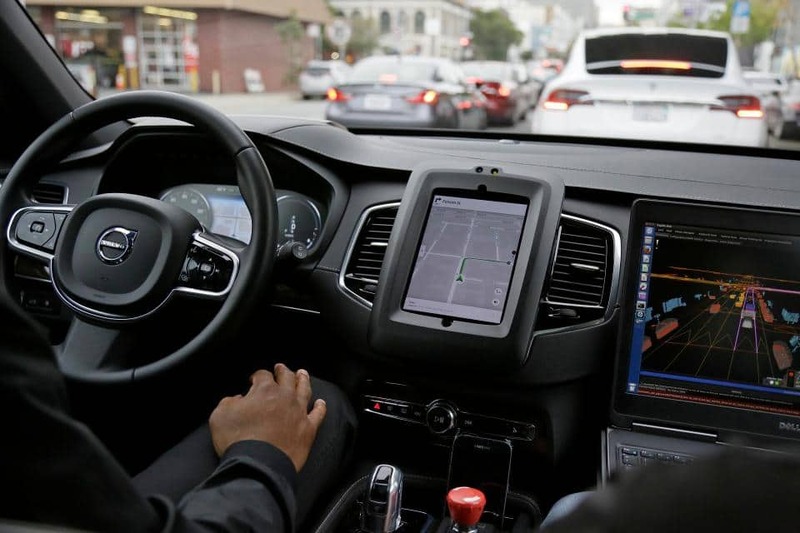 The report calls for car makers to stop using words like “autopilot” and “propilot”, as these give motorists the impression that the car is able to drive itself – or at least do far more than it is capable of. According to the research, many drivers are under the impression that their car can actually drive autonomously, but motors with this ability won’t be on British roads for a number of years. Matthew Avery, Head of Research at Thatcham Research, said: “We are starting to see real-life examples of the hazardous situations that occur when motorists expect the car to drive and function on its own. “Specifically, where the technology is taking ownership more of the driving task, but the motorist may not be aware that they are still required to take back control in problematic circumstances. “Drivers remain criminally liable for the safe use of their cars and as such, the capability of current road vehicle technologies must not be oversold. “It begins with how systems are named and described across carmaker marketing materials and the driver’s handbook. Names like Autopilot or ProPilot are deeply unhelpful, as they infer the car can do a lot more than it can. The ABI said it was in support of autonomous technologies developing in the future to improve road safety, but they were not yet at that stage. James Dalton, Director of General Insurance Policy at the ABI, said: “We are a long way from fully autonomous cars which will be able to look after all parts of a journey and in the meantime, it remains crucial that all drivers are alert and ready to take back full control at a moment’s notice.